LONDON - Theresa May sat quietly sipping tea in the corner of a small room at the Conservative Party conference in Manchester last October. 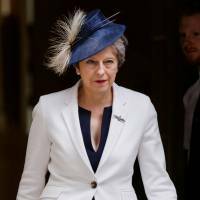 The British prime minister had just delivered a speech meant to restore her authority over a ruling party that was sliding in the polls and riven by the country’s decision to leave the European Union. When Chris Wilkins, May’s speechwriter at the time, entered the room where the prime minister was sitting with her husband and a handful of aides, the atmosphere was strained, he said. He briefly wondered if she was on the point of quitting. But May shrugged. “She said, ‘There’s nothing I could do about it. It wasn’t my fault. It’s one of those things,” Wilkins recalled. It was typically unemotional, say more than a dozen people who have worked with May. These people, including present and former aides and a former minister, portray her as someone who meets criticism, catastrophe and success with the same even response — take each day as it comes and get back to work. In interviews, they spoke of her resilience, sense of duty and attention to detail. They said the traits that helped May recover from that calamitous speech in Manchester also inform her approach to leading Britain out of the EU: work through the detail, absorb setbacks and keep going. Her critics, inside and outside her Conservative Party, say May is remote and lacks vision, a “Maybot.” In their view, she is stumbling through the Brexit negotiations with Brussels, an accidental prime minister doing a job that no one else wants. Her latest attempt to agree on a Brexit plan was undermined this week when two senior Cabinet ministers resigned in protest at her willingness to accept a deal that in many ways will continue to bind Britain to the EU. David Davis, the minister in charge of Brexit negotiations, and Foreign Secretary Boris Johnson, both strongly pro-Brexit, quit within hours of each other. May immediately appointed replacements, but now faces powerful opponents who are free to attack her from outside government. May was to set out a blueprint Thursday for what her government calls “a principled and practical Brexit,” putting at its core a plan for a free trade area for goods that has angered many in her party. It will offer more detail on a position to try to move on with Brexit talks that have all but stalled. Her plans, which also argue for Britain to set its own trade tariffs and open up services markets, are an attempt to meet the demands of businesses, pro-EU voters, Brexit supporters and the EU, which has warned repeatedly that time is running out. The question is whether the EU will accept what some officials in Brussels see simply as an opening bid. Although her grip on power has looked shaky, so far she seems to have faced down any wide rebellion. Britain has less than nine months to organize its place in the world outside the EU. On March 29 next year, Britain is due to leave the bloc it joined more than 40 years ago, and the task is huge: Most of Britain’s economy and laws governing trade and workers’ rights are interlocked with those of its EU partners. The person at the center of the maelstrom is May, and her calm reserve is playing a key role in shaping Brexit. 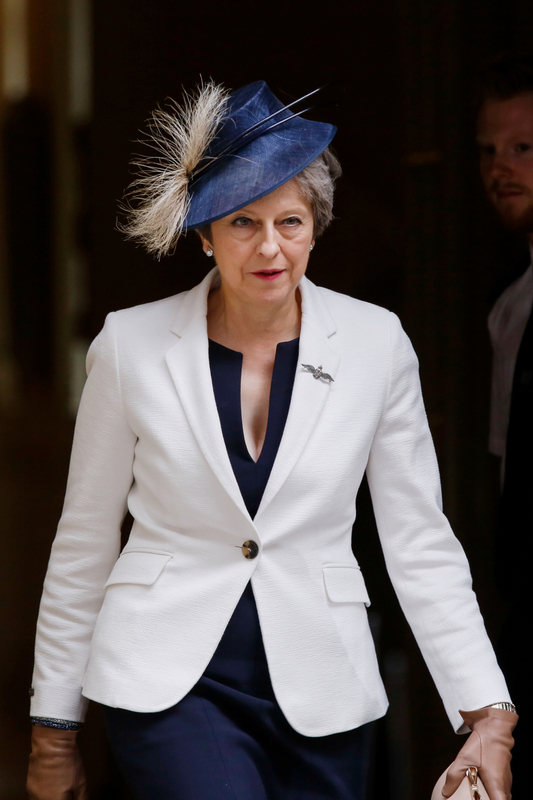 “She has taken over more problems than any other prime minister in my lifetime, and none of them are her fault, she didn’t create any of them,” said Ken Clarke, elder statesman of the Conservative Party. Clarke served at the helm of several departments, including as home secretary (interior minister) and chancellor of the exchequer (finance minister) in a career spanning five decades. “I don’t tour the television studios. I don’t gossip about people over lunch. I don’t go drinking in Parliament’s bars. I don’t often wear my heart on my sleeve. I just get on with the job in front of me,” she said at the time. May, 61, doesn’t belong to a party faction, and although she served as home secretary for six years under Cameron, she wasn’t part of his clique. She dislikes media interviews, current and former aides say, and is ill at ease at the social gatherings that are part and parcel of being party leader. “If you’ve got a choice between sitting in a meeting that is talking about a policy area that really matters, and spending half an hour on that, or half an hour prepping for a media interview, she is going to choose the first of those because that is the job to her,” former speechwriter Wilkins said. But one former aide described such moments as “water off a duck’s back” for May. It suits her purpose to keep a distance, said the aide. In negotiations to achieve a Brexit deal, described as a 3D game of chess by one colleague, such reticence can be useful. Her approach is to say little, focus on the details and leave the courting to others in her team, such as her Brexit adviser, Oliver Robbins. May is no EU rookie. During her six years as home secretary she attended numerous meetings of the EU’s Justice and Home Affairs Council, which develops EU policy on security and crime. She developed a distaste for EU jargon. In early 2016, speechwriters wrote the word “solidarity” into a speech the prime minister was to deliver. May objected that she’d sat through “too many EU meetings where we talk about solidarity all the time so can we use a different word please?” They agreed on “shared society” instead. EU officials, bitter over Britain’s decision to leave the bloc, concede that May is always on top of the detail in talks. But, they add, she and her government can often show a lack of understanding of how the bloc works. May’s critics, including some in the Conservative Party, say her “provincial” English roots make her ill-equipped for EU diplomacy. If you want to understand May, go to Maidenhead, advised two other colleagues who know her well. They were referring to the town on the River Thames, west of London, that she has represented in Parliament since 1997. The village of Sonning, a few miles upstream, is her adopted home. When May is at a low ebb — as she was after the Manchester speech and the London housing block fire — she retreats into her work and to Sonning, several aides said. Her husband, Philip, is a tremendous support, according to those who know May well; he is often at his wife’s side in Downing Street during the week and in Sonning, where they spend most weekends. When in the village, she has a routine of church every Sunday and regular trips to the supermarket in nearby Twyford. Typically, she is dutiful in turning up to local events. After racing to Brussels in the early hours of a December morning for another in a long series of EU crisis meetings about Brexit, May headed back to Maidenhead on Dec. 8 to become an honorary member of the local Rotary Club. “Mrs. May met with club president John Clegg and other club members at Maidenhead Town Hall to be presented with a certificate and Rotary pin,” the club announced at the time. After authorizing British airstrikes on Syria with allies the United States and France in April, May was soon back in her constituency to take part in the opening of the summer exhibition at the Stanley Spencer art gallery in the village of Cookham. “She had had about two hours’ sleep,” Kellaway said. In May and June, May was wrestling with yet another Brexit crisis, this time over the fate of the border between Northern Ireland, which is part of the U.K., and Ireland, which is an EU member. She still found time to open a refurbished church in Maidenhead, visit the local nonprofit Citizens Advice Service and attend the annual Maidenhead Duck Derby. The trappings of being prime minister of the world’s fifth-largest economy do not sit well with her. She dislikes having to have a security detail, and routinely checks and double checks the front door of her mock Tudor-style home in Sonning to make sure it is locked even though it is probably one of the most secure houses in Britain. An enthusiastic cook, she doesn’t feel at home in the sleek steel kitchen Cameron and his wife installed in Downing Street, saying it is not a “cook’s kitchen.” Nor is she a fan of Chequers, the 16th-century country manor house retreat used by British prime ministers. She dislikes swearing. She will run after her staff if they leave something behind in her office, current and former aides say. A creature of habit, she often has the same chicken salad from sandwich shop chain. Aides say May has a brilliant memory. Kellaway, the Maidenhead councilor, recalled her delivering a word-perfect repeat of a rap performed for her by school children. But her mechanical delivery in front of the cameras led to her becoming known as the “Maybot” in the British media — and the tag has stuck. “And we all went, ‘That’s brilliant,’ and she said, ‘Is it?’ ” Wilkins recalled. “Yes, that’s human, that’s what it’s all about.” It was the perfect material to make her more human, Wilkins said, but she had not recognized it. Unfortunately for May, few people recall the contents of that speech. Instead it is remembered for the prankster, May’s cough and the disintegrating set.